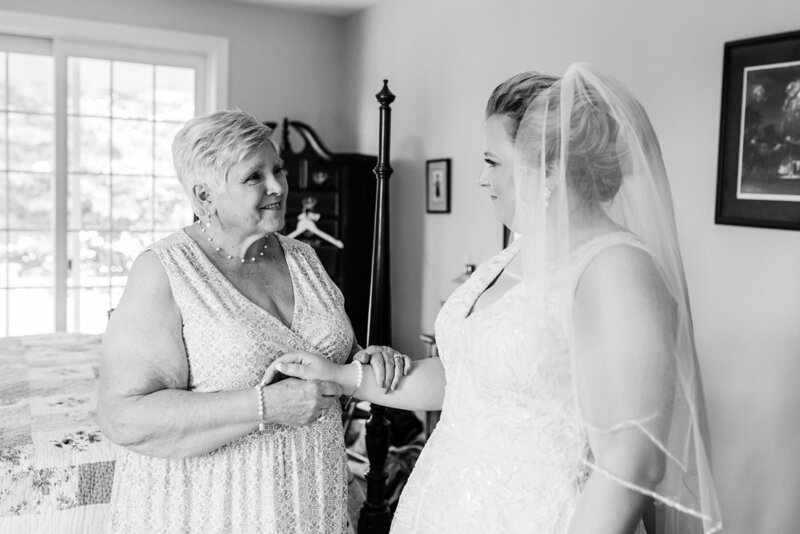 When I first spoke with Caitlyn during our initial consultation, she mentioned to me that it was always her dream to get married in her grandmother's backyard. 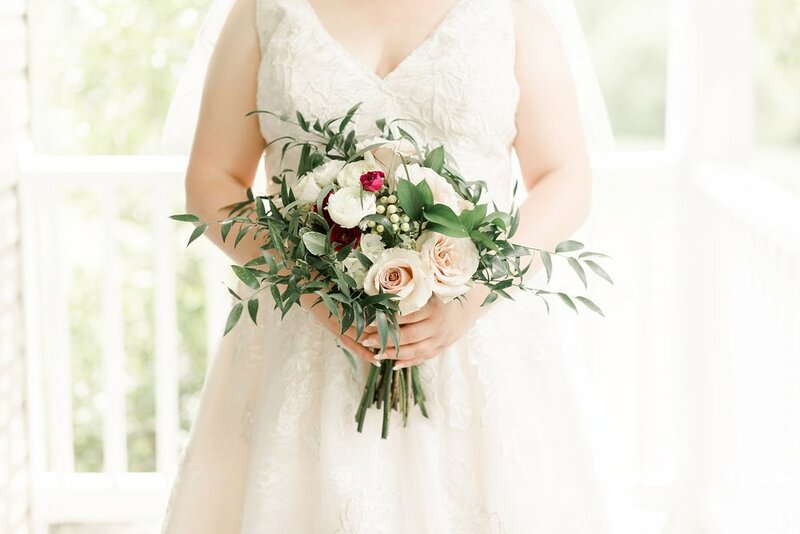 She wanted something simple, yet elegant that included all of the people who were closest to the couple. 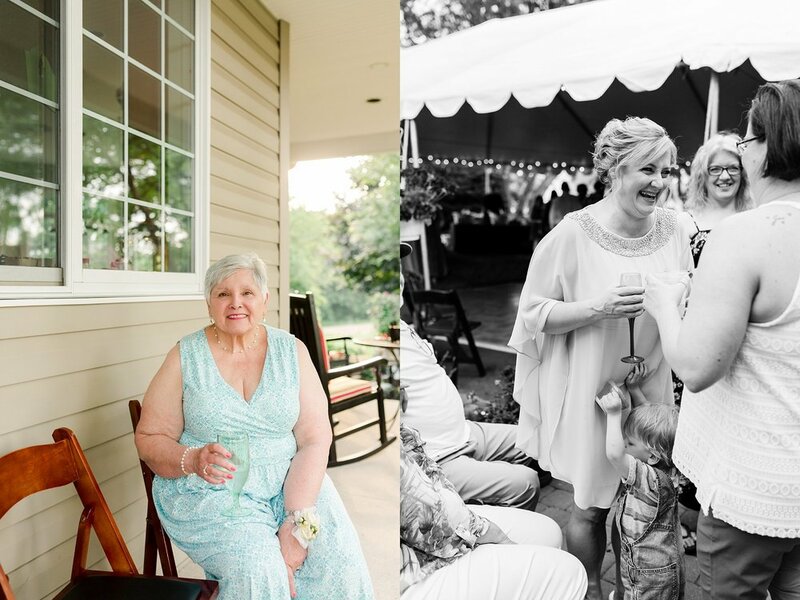 Caitlyn's grandmother played a very important role in her life and she just knew her grandparents' beautiful home would make the perfect setting for her backyard Bucks County wedding. She was absolutely right! The wedding was a perfect June day, the sun shone all day long, and the backyard was just bursting with flowers--swoon! Caitlyn and Matt got ready at Caitlyn's grandmother's home where the ceremony was due to be held. 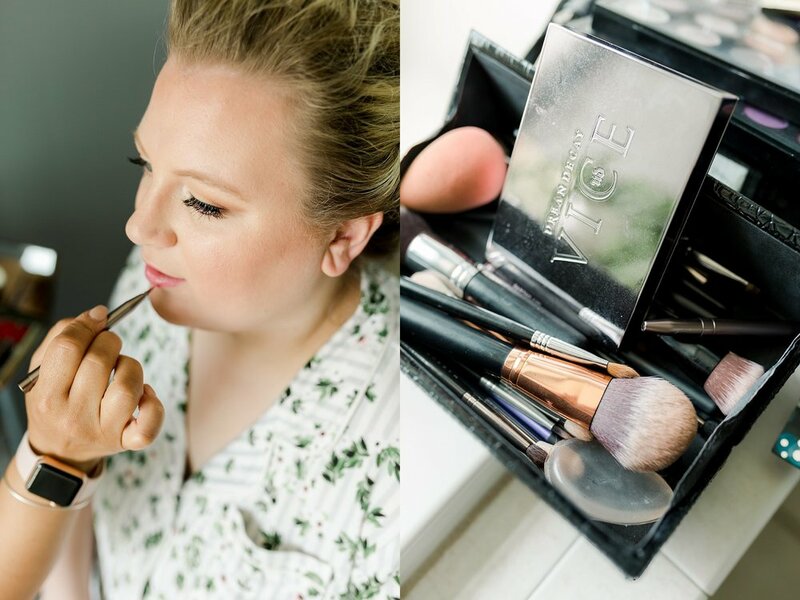 Caitlyn and Matt opted not to have a bridal party, so they were surrounded by their closest friends and family as they prepared for the big day ahead. The atmosphere was so calm and relaxed. It was so nice having such a close group of people there. Everyone pitched in to help the day come together perfectly for Matt and Caitlyn. Caitlyn decided to have a Daddy/Daughter First Look before seeing Matt for the first time. I absolutely adore the sweet photos we got during this special time for Caitlyn and her dad. This was actually my favorite part of the day. I've truly never seen a father beaming the way Caitlyn's Dad did when he saw her in her wedding gown for the first time. 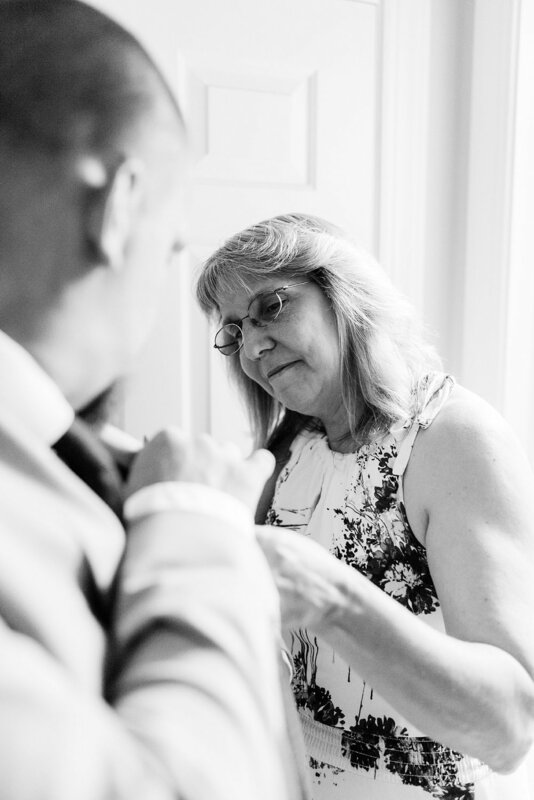 They also took a moment for Caitlyn to pin her father's boutonniere on during the First Look – it was such a sweet moment between father and daughter. 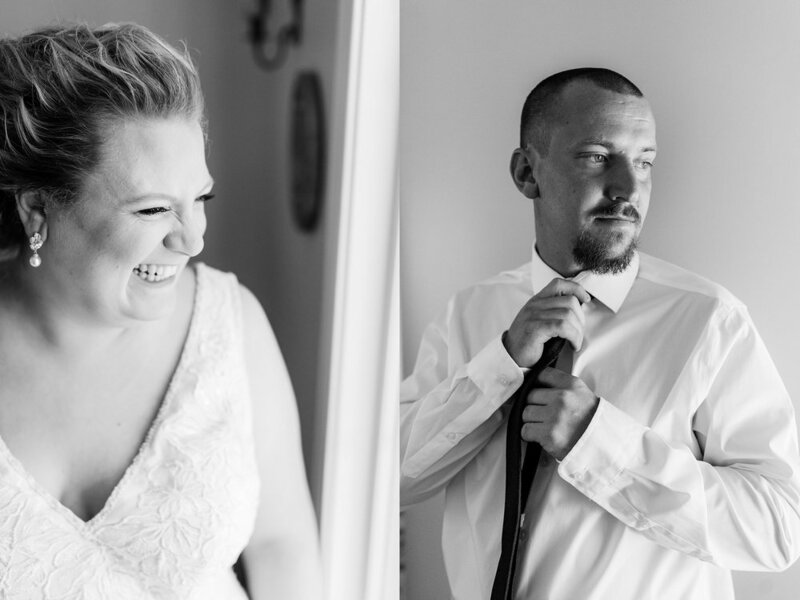 "We wanted to have that special alone time before the ceremony to just talk and get over our nerves." 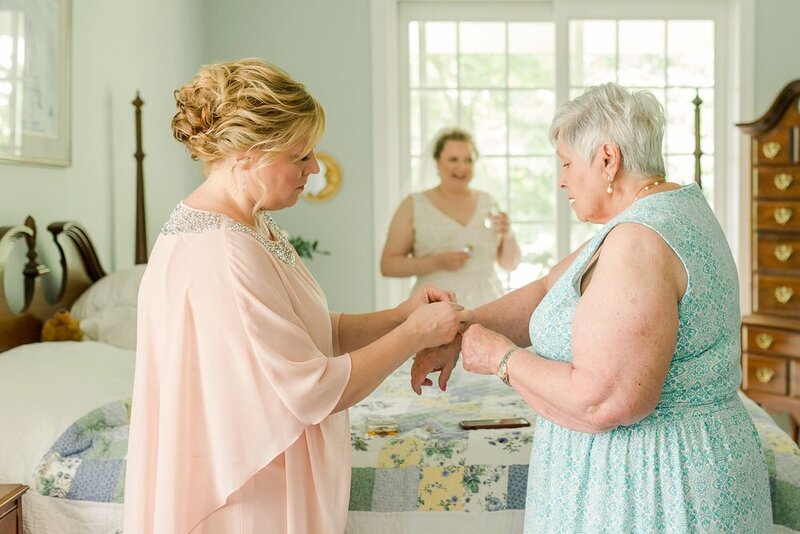 The ceremony was an intimate affair in the back garden of her grandmother's Bucks County, Pennsylvania home. Friends and family looked on as Caitlyn and Matt exchanged their "I Dos" at the end of a cobblestone walkway. 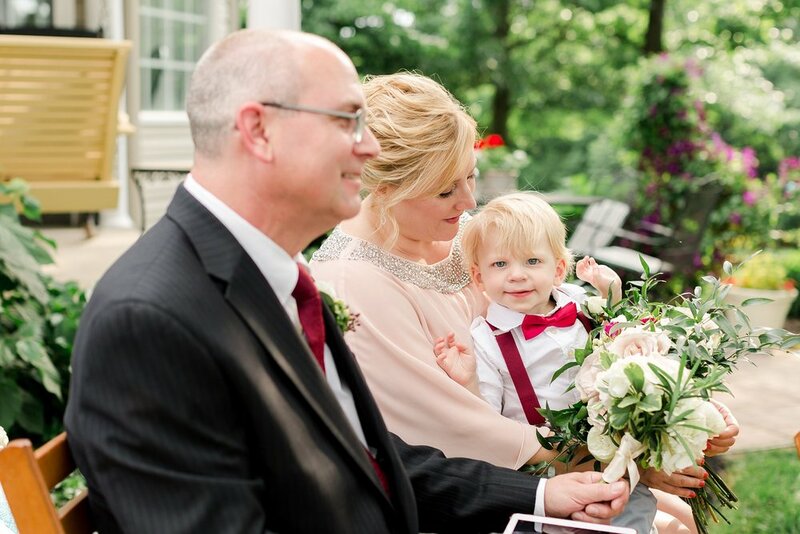 During the ceremony their sweet little son, Wesley, acted as ring bearer and he did a great job (just wait until you see how sweet he looks)! It was so beautiful, so personal and so very romantic. The reception was held in a tented area in the backyard. It was a garden theme wedding, which was perfect for the backyard setting, so Caitlyn and Matt opted to decorate with fresh flowers and twinkle lights. It definitely had that simple, yet elegant vibe Caitlyn was hoping for. 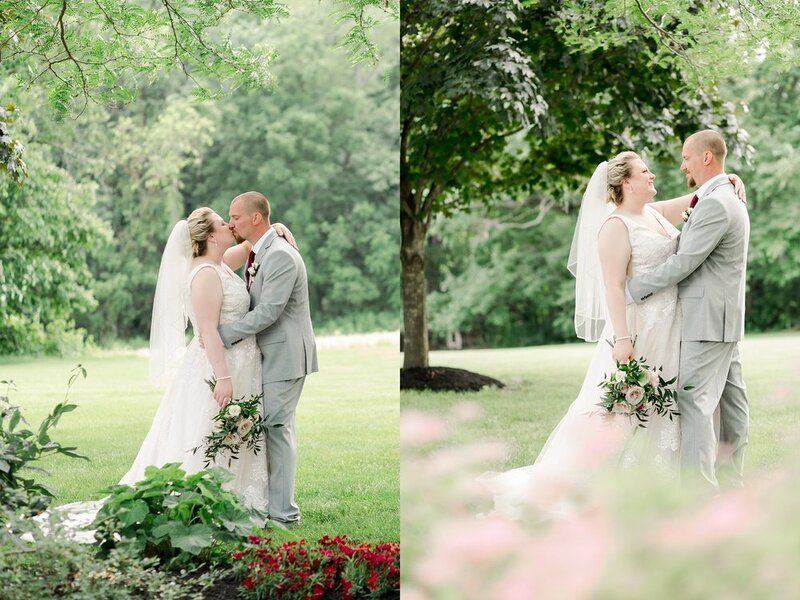 I love shooting garden weddings because the grounds are just perfect for outdoor formal portraits. I mean, who can pass up a wedding with beautiful gardens and a killer sunset? "Make sure to remember every minute of your day! Take a moment to breathe it all in and most of all let the little things slide. Your going to marry your best friend!" 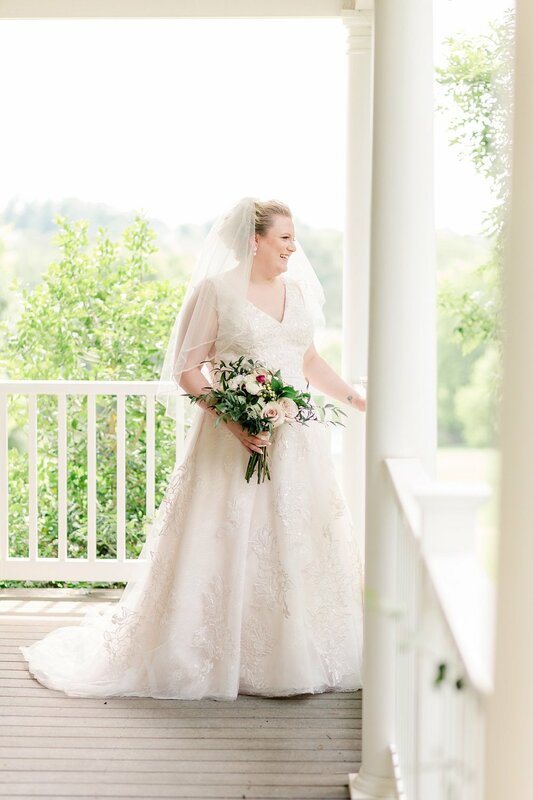 I hope you enjoy some of the highlights from Caitlyn and Matt's beautiful Bucks County backyard wedding! A special thank you to my second shooter, Jillian, for her talent and support! Also, a shout out to the vendors who helped make Caitlyn and Matt's Bucks County Wedding an amazing day for everyone! 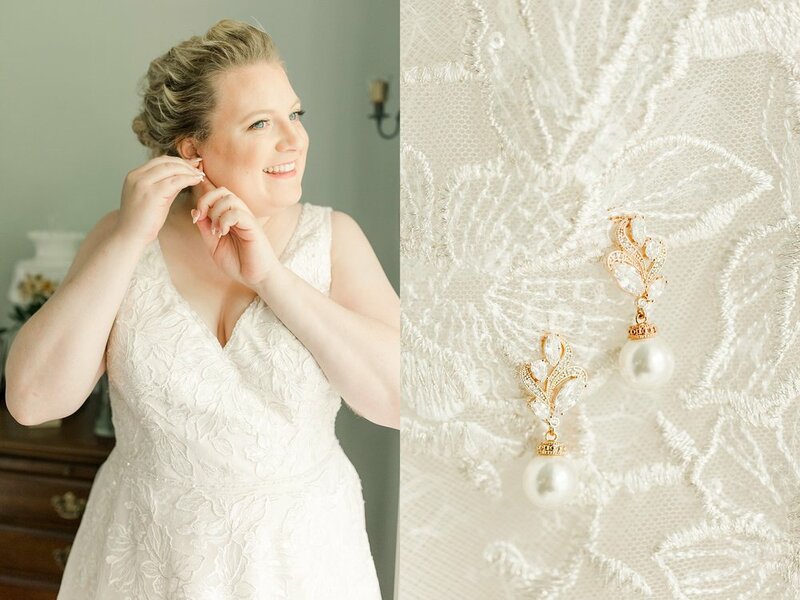 If you're planning your own Bucks County, PA wedding, get in touch!